Providing products and services for persons of short stature. No need to come home from school or work with an aching back or tangling legs. 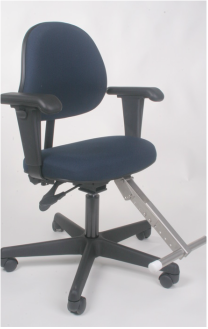 That's right, finally an ergonomic desk chair designed with adjustability everything.